Located in the 12th district of Paris, Motel One Paris-Porte Dorée provides a garden and an on-site bar. It was one of the best places I've been to, the location is great and the design is super nice. The staff was friendly and very helpful. Wish I could have stayed longer in Paris, but all good things come to an end. Definitely coming back to this hotel! 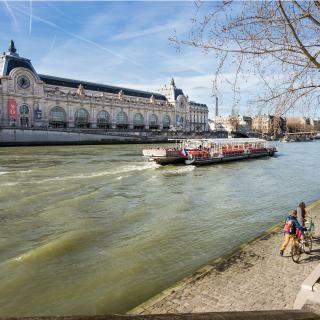 Okko Hotels Paris Porte De Versailles is located 2297 feet from Paris Expo - Porte de Versailles Exhibition Center and 1.7 mi from Parc des Princes It offers air-conditioned accommodations with free... Super clean with ftiendly staff that were always willing to help. Enjoyed the cool room concept and the extras during the evening appetizer offering. Located 2297 feet from Louver Museum in Paris, Maison Albar Hotels Le Céline offers free access to its indoor pool and hot tub. The hotel also features a spa center accessible at an extra cost. We had the room on the room with the rooftop view of Paris. Wonderful. Apollon Montparnasse is located in Paris, 1640 feet from Montparnasse Train Station. Each room at this hotel is air conditioned and has a flat-screen TV with satellite channels. The beds and pillows were wonderfully comfy. 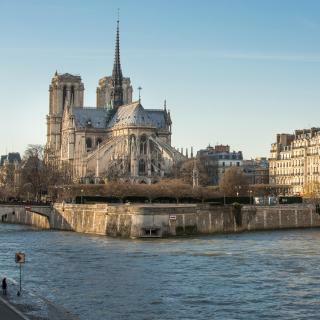 Hôtel Vendôme Saint-Germain offers accommodations in Paris just 5 minutes' walk from the Panthéon and 2297 feet from Noter Dame Cathedral, featuring free WiFi throughout the property and a 24-hour... great location and amenities. Had all the features that I need for business travel. Great staff. Le Mireille offers hotel accommodations in the 17th district of Paris, just 656 feet from Guy Môquet Metro Station. We booked this hotel only a few days before we arrived and were very pleased with everything. In a pedestrian street in central Paris, Hôtel Le Relais des Halles Paris is just over a quarter mile from the Georges Pompidou Museum. Super central location and staff so helpful re what to do and how to get there. Set in 5th arrondissement of Paris in the latin district, between the Jardin des Plantes and the Noter Dame Cathedral, Hotel Monge offers air-conditioned rooms and free WiFi throughout the property. Very high class. Smart and comfortable. The living area was very smart and comfortable. A 5-minute walk from The Louver, this refined hotel offers air-conditioned rooms in the very center of Paris. Noter Dame Cathedral is 0.6 mi away. Literally everything!! Location of the hotel. The room was clean comfortable and cozy. 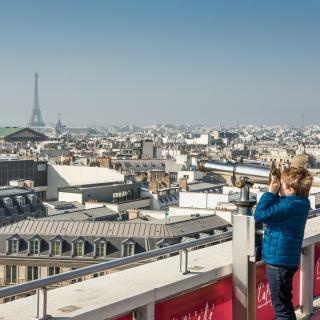 Which hotels in Paris have nice views? Goralska Résidences Hôtel Paris Bastille, Fauchon l'Hotel, and Maison Lepic Montmartre got great room view-related reviews from travelers in Paris. Which hotels are the best ones to stay at in Paris? Le Tsuba Hotel, Hôtel La Nouvelle République, and Hotel 34B - Astotel are some of the popular hotels in Paris. 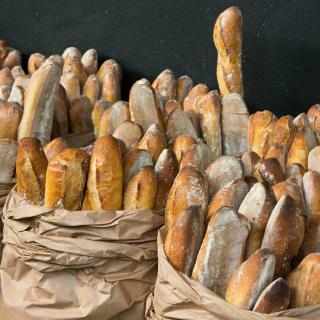 Which hotels in Paris offer an especially good breakfast? For hotels in Paris that serve highly-rated breakfasts, try Ritz Paris, Hôtel du Rond-Point - Esprit de France, and 1er Etage SoPi. Many families visiting Paris loved staying at Maison Lepic Montmartre, Hotel de Crillon, and Ritz Paris. On average, it costs XOF 72,248 per night to book a 3-star hotel in Paris for tonight. You'll pay around XOF 107,058 if you choose to stay in a 4-star hotel tonight, while a 5-star hotel in Paris will cost around XOF 282,203, on average (based on Booking.com prices). Which neighborhood is the best one to stay at in Paris? 1st arr., 2nd arr., and 3rd arr. are popular with other travelers visiting Paris. 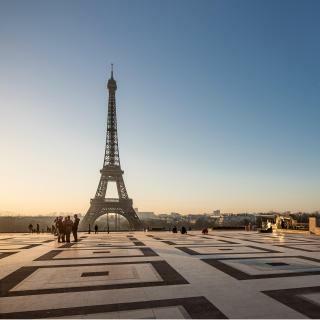 Travelers who stayed in Paris near Paris - Charles De Gaulle Airport (CDG) have said good things about Sheraton Paris Roissy Airport, Novotel Paris Charles de Gaulle Airport, and Pullman Paris Roissy Cdg Airport. Which hotels in Paris are good for couples? These hotels in Paris are highly rated by couples: Ritz Paris, Hôtel du Rond-Point - Esprit de France, and Le Meurice – Dorchester Collection. The average price per night for a 3-star hotel in Paris this weekend is XOF 151,693 or, for a 4-star hotel, XOF 225,922. Looking for something even fancier? 5-star hotels in Paris for this weekend cost around XOF 572,391 per night, on average (based on Booking.com prices). On average, 3-star hotels in Paris cost XOF 78,727 per night, and 4-star hotels in Paris are XOF 127,187 per night. If you're looking for something really special, a 5-star hotel in Paris can be found for XOF 334,661 per night, on average (based on Booking.com prices). A symbol of love and the most visited city in the world, beautiful Paris has it all! The romantic cafés of Montparnasse, lively bistros of the Latin Quarter and high-fashion luxury stores of Champs-Élysées are just waiting to be discovered. 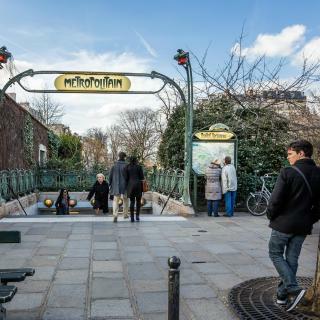 Thanks to the city’s great public transportation system, it doesn’t matter if you’re traveling from Orly or Charles de Gaulle International Airports, since all major attractions are within easy reach. Whether you’re looking for a room with a Notre Dame view, a design hotel with chic interiors or a comfortable apartment, Booking.com has something to fit all your travel needs. Paris, for the 10th time was Perfect! Paris, for the 10th time was Perfect!. This is not so much a review of Paris, but a Warning about the hotel we stayed at. 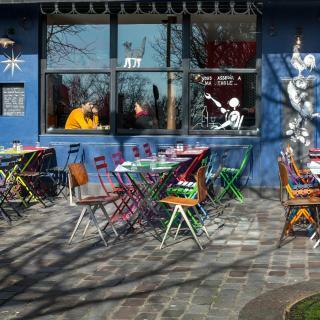 Hotel Little Regina:89 Boulevard De Strasbourg, 10th arr., 75010 Paris, France –. Site picture is NOT what you get. It is a Bait-and-Switch. You think you are getting one room, BUT, Nooooooo.If you want to feel like you are in a terrorist prison cell, then this is the place for you. It was sooooo tiny. They stuck in a second bed adjacent to the window, so access to the closet and shelves could only be gained by climbing up on the bed.The WC was at another end of the unit, so to get to it, you would have to negotiate around a night stand, then a corner, IN THE DARK! (I had to buy a flashlight for my Mother so she wouldn't stub her toes in the night).The oscillating fan could only be used from the corner, so no fresh air,no AC.In the double-bed, since my husband slept in the "Aisle" spot, I was up against the wall. Nice on a hot August night with the fan blowing hot air on you because you can't open the window because the person sleeping next to it will be kept awake by the street noise traffic.Even the Wi-Fi didn't work, had to go to the lobby to use when doing pre-checkin for airport.Charged for an extra day of VAT even though we left early.The best part of the Hotel Little Regina was leaving. So if you want a really small squashed rat-hole, with a maze-like configuration, this this is the place for you. TIP: Check out the online sites. There are sooooo many other places around there that they will treat you nice, value you business, give you a little respect, and, not as expensive. 10th time in Paris, worst hotel Ever! Stay Away from this place. Very easy train from Amsterdam to Paris. Very easy train from Amsterdam to Paris. Used UBER and Metro but did hire Taxi from Train Station to hotel and discovered we were way overcharged. Dinner at La Citrouille at 10, rue Gregoire de Tours was so excellent we returned the next night. Chateaubriand with bearnaise, onion soup and escargot are memorable! Kir au vin blanc (wine with Cassis) delightful. Staying at Saint Germain/6th Arrond. is ideal ... Hotel d'Aubusson is marvelous accommodation with beautiful decor, very pleasant/helpful personnel, most comfortable room with state of the art appointments - highly recommended. Safe, Easy walking in evening to lively Saint Germain nightlife. This was my 3rd trip to Paris, and the best one, largely because the 1st arr. where we stayed was a much better area and there was so much to do/walk around/see, including many dining options. My friend and I were only there barely 24 hours, and it was not difficult to make the most of our time. I really enjoyed my first experience eating at Le Souffle, never had eaten souffles made like this before. My friend and I enjoy most of the shops along Rue St Honore, and while metro stations are a bit of a walk, getting to other areas is still manageable. The restaurant Giaio Mia is a longtime favorite and the third time dining there for dinner did not disappoint, highly recommended (as are reservations). Hotel de Vendome is a bit pricey but worth it, especially if you can get a deal on an upgraded room -- very charming boutique hotel and amenities with wonderful staff. I stayed in two hotels in Paris, both on the Left Bank. I stayed in two hotels in Paris, both on the Left Bank. If my trip hadn't been broken up with other locations outside of Paris I might have rented an apartment which I have done in the past. I lived on Rue Vaneau in 1964-65. A lot has changed. The location of the Hotel Vaneau was great, the mattress was great, the bathroom was lovely and the front desk was nice and helpful. I took the bus for the first time which is really fun. The metro doesn't teach one the streets so it was fun to take the bus #39( I think) right over to the Louvre-----and watch everyone---all of the time----the children, the dogs, etc. Paris is always great even if the weather isn't . And, Bon Marche is so close along with the Grande Epicerie. Restaurant Petit Lutece straight across on Rue de Sevres. I did love the Left Bank Hotel on Rue de L'Ancienne Comedie. What a location!! Charming rooms, helpful people at the desk. Two minutes from Eric Kayser, the boulangerie----pain du chocolate. Yum. 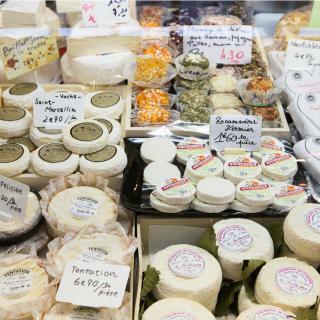 Yum about everything in Paris. Been home a week and am ready to go back. Paris is nice, especially when it is your first time to visit the country. The iconic tower was magnificent. I like the food, museums, and the structures. I enjoyed a lot in Disneyland and the hotel that we stayed near Disneyland (B&B Disneyland Hotel). However there are things that I didn't like which are: I don't feel that it is safe especially during night. Pickpockets are a lot so you have to be careful always with your belongings. There are beggars along the street and no have place to stay. Their trains are not clean. Not to stay in Avalon Hotel. I love Paris except my hotel room ... Avalon Hotel. I was disappointed in this hotel for the price I paid for. Don't believe the pictures they have shown on this hotel site because it is a fraud. Not a happy customer here.